If you’re looking to take your CBT test in Sutton Coldfield then RideTo can do all the work for you and make it easy to get onto two wheels! We’ve got a few schools in and round both Sutton Coldfield and the wider, West Midlands and Birmingham region which we know will provide you with a great level of training to get you out on the road and riding with confidence. And the roads around the Sutton Coldfield area are great for motorcycling – so we’re sure you’re going to bet bitten by the scooter or motorcycle riding bug! Once you’ve decided which school you want to go to you can book your day of training quickly and simply right here. And it’s not as hard as you might think? 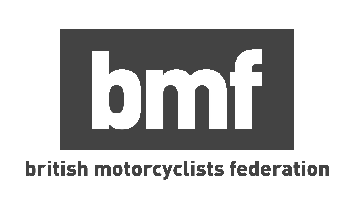 Because contrary to what most people believe, there is no actual test involved with your CBT as there is with a full motorcycle licence - it’s literally just a day of training that is intended to help you get to grips with the basic skills and knowledge required for motorcycle or scooter riding. Still a little unsure about what to expect during your CBT training in Sutton Coldfield? Don’t worry, we’ve answered the most common questions about the CBT test here. Once you complete our Compulsory Basic Training, you will receive your CBT certificate, which will allow you to ride on the road on L-plates using your provisional licence for up to two years. If after the two years you wish to continue riding without upgrading to a full motorcycle licence you will have to retake your CBT. If you take your CBT at the age of 16 then you’ll only be allowed to ride a scooter or motorcycle with a maximum capacity of 50cc and a restricted top speed of 30mph. There are 50cc motorcycles available, but most people opt for a scooter due to the practicality and ease of use. On the day you’ll be given the choice of riding an automatic scooter or a manual motorcycle. Which one you choose is entirely up to you, but we recommend choosing whichever it is you’re going to be riding once you’ve completed your CBT. It doesn’t make much sense spending a day learning to ride a manual motorcycle when you’re going to spend the next two years riding a twist ‘n’ go scooter. Still unsure? Check out our in-depth guide here. Life on two wheels is pretty good, but why not earn money while you’re riding? There are numerous companies around the whole of the West Midlands all looking for reliable delivery riders, so put your new skill to good use! If you haven’t taken your CBT test in Sutton Coldfield yet, don’t worry. You can still start applying for interviews and book your CBT test with RideTo. We’ll have you on the road and earning money in no time.